Disclaimer: I was given products in this post for the purpose. I was not paid in anyway to write this review. All opinions are my own. Featuring episodes 1-5 of Season 2, Vert Wheeler and his crew of super teen drivers go out to fight the enemy! 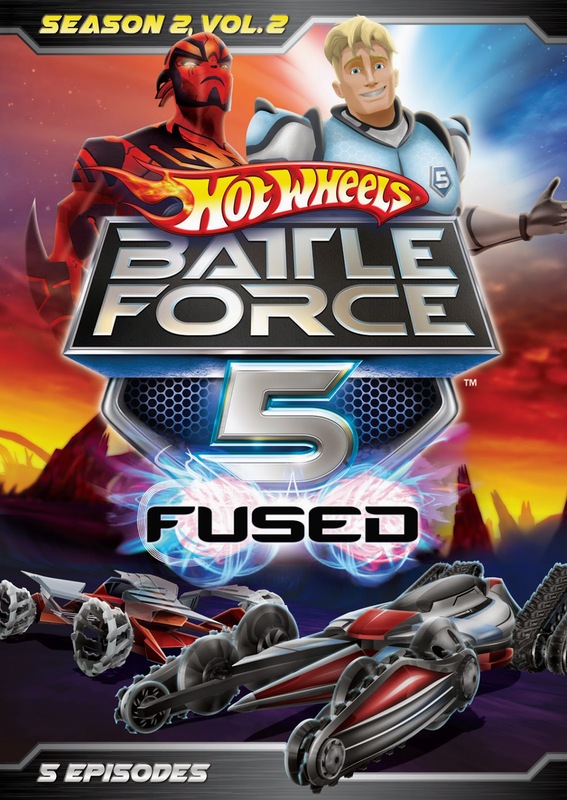 The Battle Force 5 (AKA BF5) must protect their Blue Sentient mentor, Sage, and figure out a way to destroy Krytus, leader of the Red Sentients and Sage’s evil twin. 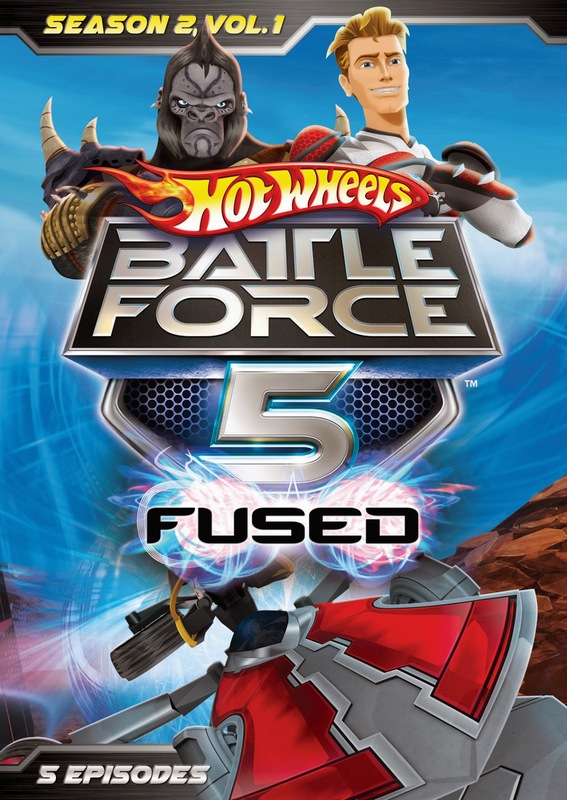 Fueled by molten antimatter energy, BF5’s vehicles transform into armored battle vehicles and into bigger, more incredible fusion vehicles to help them overthrow Krytus plan of becoming the all-powerful leader of the multiverse and prevent him from destroying the Blue Sentient civilization. My boys are well boys ;) So I'm sure you know super cool cars that can transform and battle each other is a huge hit with them. I love the fact its a clean show no bad humor and even when they battle its not guts and blood and all the stuff small kids shouldn't see. My 3 and 6 year old both really enjoyed it.